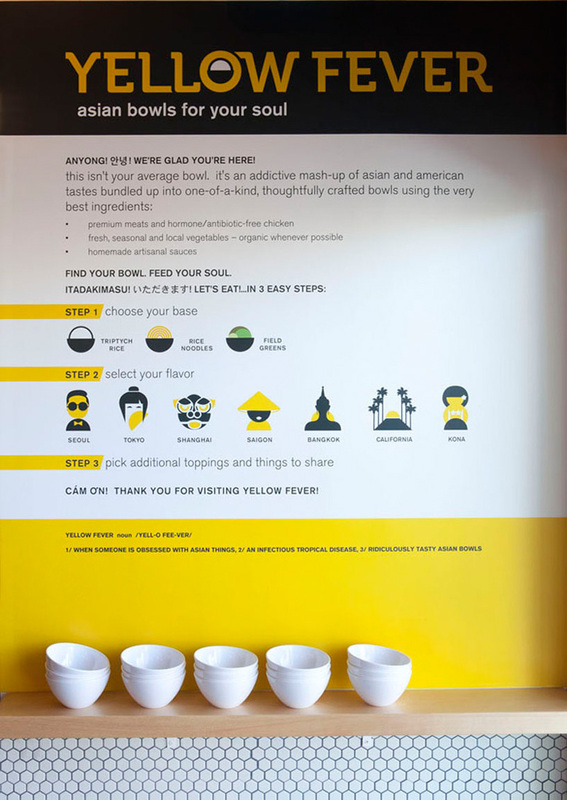 Fleetwood Fernandez Architects have designed Yellow Fever, an Asian-American fushion restaurant, located in Los Angeles, California. 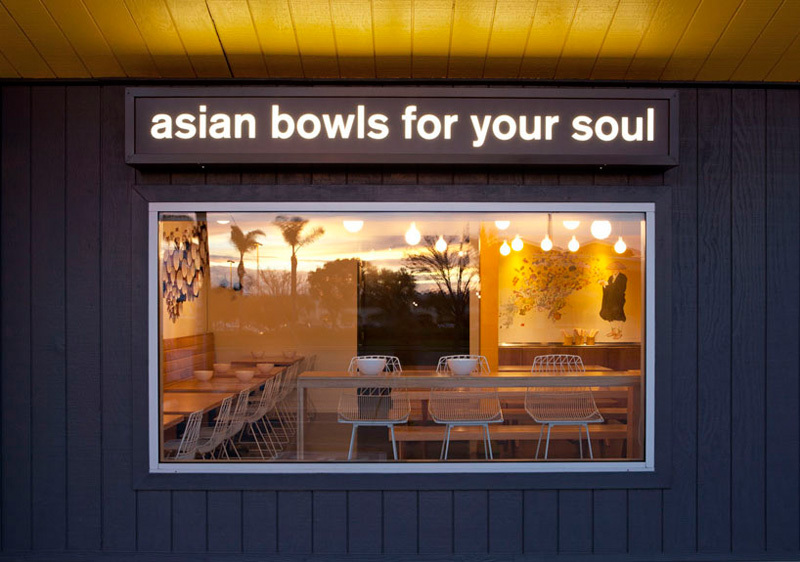 Restaurateur Husband-and-wife team Michael and Kelly Kim wanted a space aligned with their mission to offer delicious, healthful cuisine inspired by a mash up of American and Asian palates and cultures. 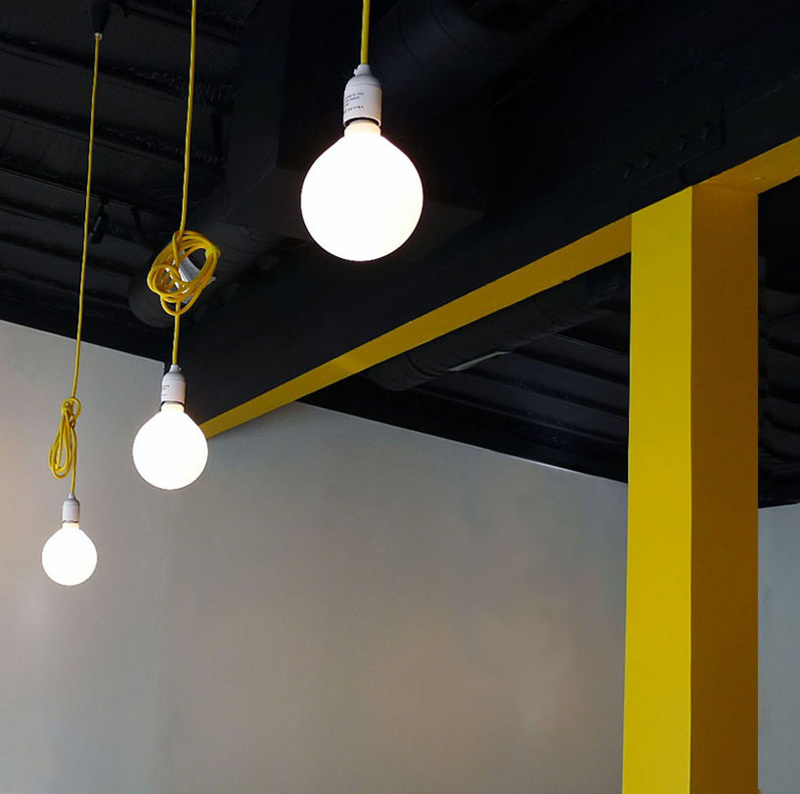 With most of the shoe-string budget devoted to reviving the kitchen of a defunct halal meat market, the design had to be economical and easy to build. Michael and Kelly hired another husband-and wife team, Hunter Fleetwood and Paz Fernandez of Fleetwood Fernandez Architects to design the bright open space. 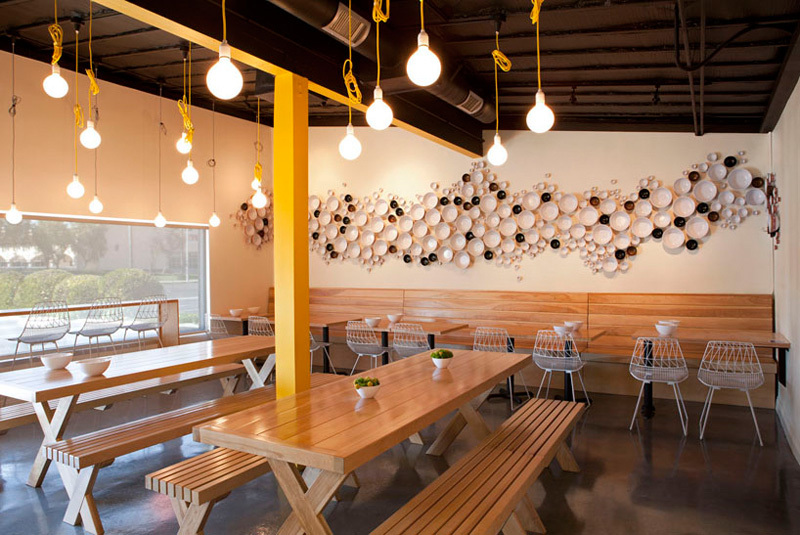 The design combines industrial materials with more expressive finishes like handmade wood furniture and ceramic tile. 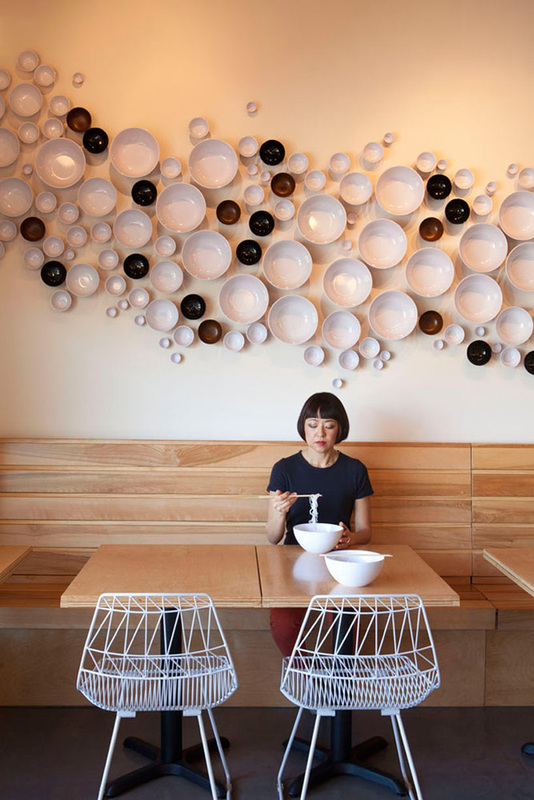 Fleetwood Fernandez also designed the organic installation of bowls which sits above the banquette seating area and serves as the restaurant’s focal point. 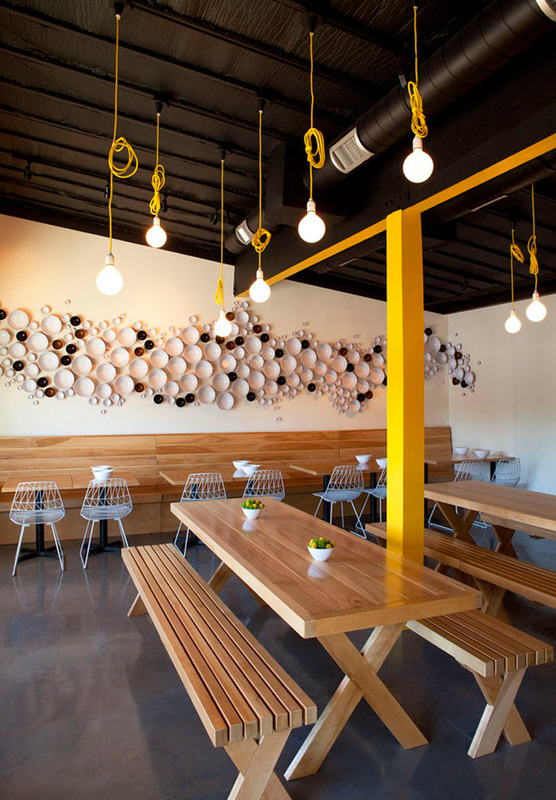 The urban counterculture character of the space is reflected in details throughout: metal wire seating, bare bulb pendants in bright colors, and exposed ductwork. 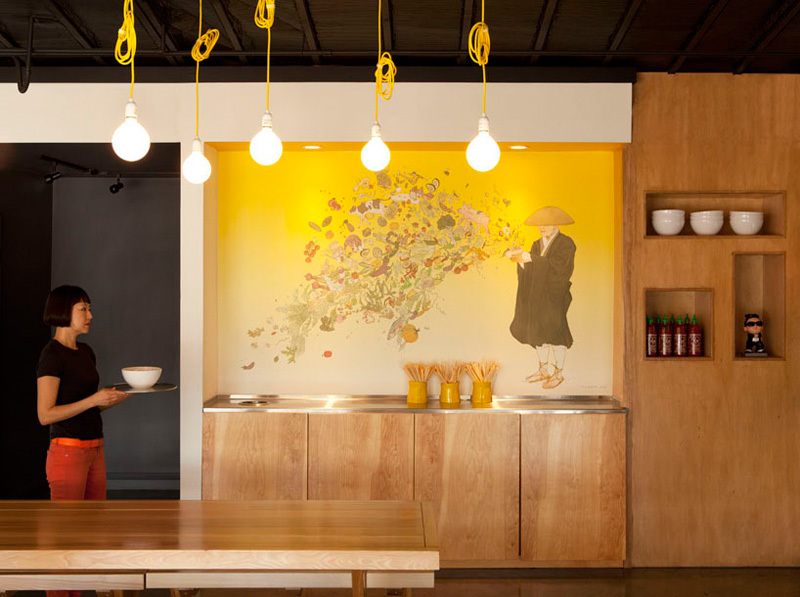 The restaurant also features the work of other local Los Angeles designers including a site specific commissioned drawing by Kozyndan, and chairs by Bend Goods.